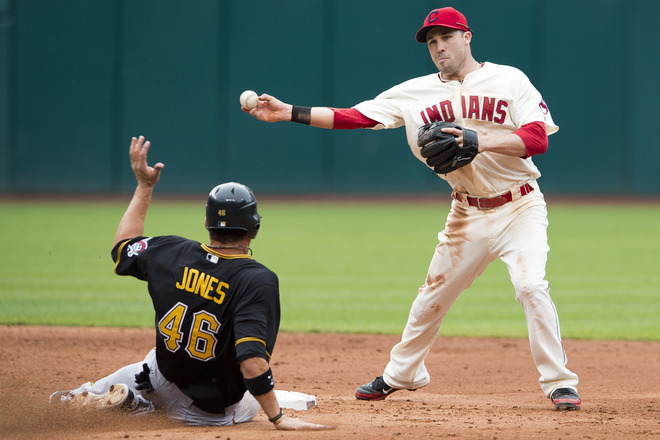 Is Cleveland Going to be 2013’s Stealth Contender? Does Anybody Want to Win the AL Central? Before the 2012 season, nearly every baseball analyst, including yours truly, picked the Detroit Tigers to absolutely dominate what looked to be a weak division. Well half of that prediction has come true thus far, because the AL Central has indeed been the weakest division in baseball. In fact its been so bad its time to dust off the old nickname, the Comedy Central. Currently the slumping White Sox hold a slim half game lead over the win-a-game-lose-a-game Indians, and a 2.5 game lead over the struggling Tigers. If baseball abolished divisions and moved all teams into one league, no AL Central team would rank among the top 5 in the American League. So does anyone really want to win this thing? Let’s take a look to see which team has the best chance, starting with those White Sox. The best of the American League this season, and the players you should be voting for on your All-Star ballots. The 2012 American League Central should be a one-horse race, won by the Detroit Tigers. The Tigers enter 2012 as the heaviest division favorite in all of baseball. The middle of the division should be better than in 2011, with every team having a chance to improve upon last year’s record as well. Let’s take a look beginning with the defending Central champion Tigers. The 2012 Tigers will be the owners of one of the most star-studded rosters in all of baseball. With Justin Verlander, Miguel Cabrera, and the newly-acquired Prince Fielder, the Motor City has no shortage of MVP candidates. Detroit has all of the pieces needed to make a World Series run and should be considered one of the favorites. Their offense is elite, finishing 4th in baseball in runs scored a year ago, and should have even more firepower in 2012. They have plenty of pitching, with both starters and relievers to spare. Defense is the only major liability however, because Detroit will be below average at 3rd, short, and 1st. The offense will have plenty of power, provided by middle-of-the-order combo Prince Fielder and Miguel Cabrera. Each player has power, a good batting eye, and hits for a solid average. Fielder has bombed 30+ homers each of the last 5 seasons, and has posted an elite OPS+ as well. With a career .929 OPS he is a great on-base/power combination from the left side of the plate. Miguel Cabrera has been a model of consistency as well, hitting at least .300 in every season but one since 2005. The past two years Cabrera has turned into a monster, leading the American League in OBP. Planting these two sluggers will allow Detroit to challenge Boston and New York for the title of league’s best offense. The rest of the lineup provides plenty of power as well. Delmon Young, Alex Avila, and Brennan Boesch are all power threats who could hit 20+ dingers. Avila had a career year in 2011, winning the Silver Slugger award while hitting .295/.389/.506. He provided excellent pop, going for 56 extra-base hits. His catching skills were on par as well, throwing out 32% of all base stealers. If Detroit has any vulnerability it will be defense, where they dot the field with subpar defenders at five positions. Cabrera and Fielder in particular will be a troublesome duo, who could be particularly easy to bunt on. Both of the sluggers rated as bottom-5 1st basemen a year ago, and Cabrera will find 3rd base even less forgiving. The Tigers would be well served to use Brandon Inge’s above average glove and arm at 3rd despite his mediocre bat, if only to save some runs. Cabrera could easily be moved to DH, which could add a few wins in the standings. Detroit had a surprisingly mediocre pitching staff in 2011, ranking 18th in baseball despite the heroics of Justin Verlander. His Cy Young/MVP double has been well documented for good reason. 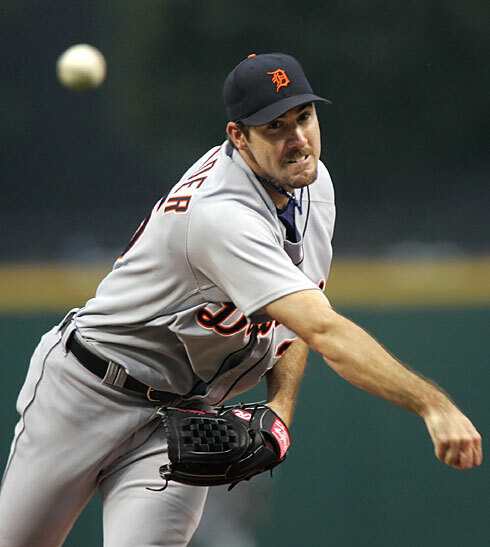 Verlander was just plain filthy in 2011, leading the league in wins, ERA, ERA+, innings pitched, strikeouts, and WHIP. These numbers will be tough to duplicate, but the dominant righty can be penciled in for 20 wins easily. 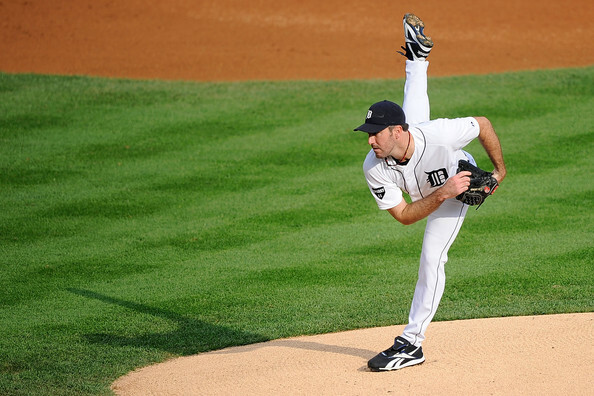 The 2012 Tigers will get the added benefit of a full season of Doug Fister as well. Fister destroyed hitters after he was traded to Detroit, posting a 1.79 ERA in 70 innings, while walking less than a batter per 9 and striking out over 7. While last year’s walk rate is unsustainable he should still post a solid ERA between 3 and 4. The rest of the rotation will be manned by high strikeout pitcher Max Scherzer and the very average Rick Porcello. The bullpen has plenty of solid arms as well, led by 49/49 man Jose Valverde. Joaquin Benoit is an above average setup man and Al Albuquerque, despite his poor performance down the stretch, still posted a 1.87 ERA in 43 big league innings. This team is spending big bucks, especially in the notoriously penny-pinching AL Central. Detroit should win the division and have its sights set on bigger goals after losing to Texas in the ALCS. The Indians have been hyped plenty this preseason by the likes of Jonah Keri as a potential sleeper in the American League. That may be a slight over-evaluation of the team’s talent level however, because the Tribe only ranked 16th in offense and 24th in pitching a year ago. This team outplayed their pythagorean, or expected record, by 5 wins a year ago, and may not do the same again. The roster does have a few bright spots however, in the forms of Asdrubal Cabrera and Ubaldo Jimenez. Cabrera had his coming out party in 2011, hitting .273/.332/.460 with 25 hrs while playing excellent defense. He is a bit strikeout prone but provides more pop than any shortstop this side of Tulowitzski. His middle infield partner will be youngster Jason Kipnis, who showed considerable promise hitting for an .841 OPS in 150 at-bats. Each other lineup spot is manned by a player who can provide some offensive value, led by left-fielder Shin-Soo Choo. Choo struggled in 2011 after hitting at least .300 in each of the previous 3 seasons. He also is an above average fielder, possessing good instincts, quick reactions of the bat, and a very strong arm, worthy of the position. Travis Hafner is also back to reprise his free-swingning power act. The rotation has to improve in 2012 if the Indians want to emerge as contenders, because no teams ranking as low as 24th make the playoffs. Hope is provided in 2011 trade deadline acquisition Ubaldo Jimenez. Jimenez relies on an arsenal of power pitches including a fastball that mysteriously lost velocity last season. It was the leagues fastest average pitching in 2010, but was down a couple miles an hour last year, which could be cause for concern. When Jimenez is on he is one of the true 10-12 aces in baseball as evidenced by his fantastic 2010, when he posted an elite 161 ERA+. Justin Masterson, the potential #2 starter, has the ability and could be in for a strong season. He upped his K rate while also dropping his walk rate, leading to a mid-3.00 ERA. Derek Lowe, the sinkerballer, has been brought in from Atlanta to provide a steady mid-rotation presence. Josh Tomlin and Kevin Slowey are a pair of pitchers who’s ceilings are league average at best. They will probably start in the rotation to begin the season. 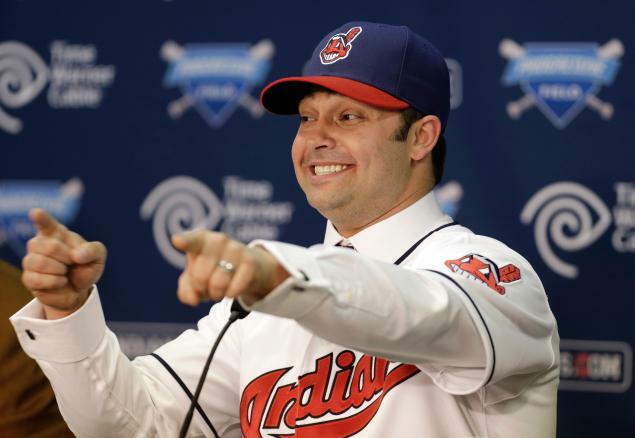 The bullpen will be a grab-bag and the expected closer is the mediocre Chris Perez. He has a poor 5.9 K’s/9 and walks nearly 4 batters per 9 innings as well. The rest of the ‘pen has its strengths and weaknesses, an if managed properly, it can be an asset. This team has the potential to surprise for the 2nd year in a row, or they could bust and win 70-75 games. 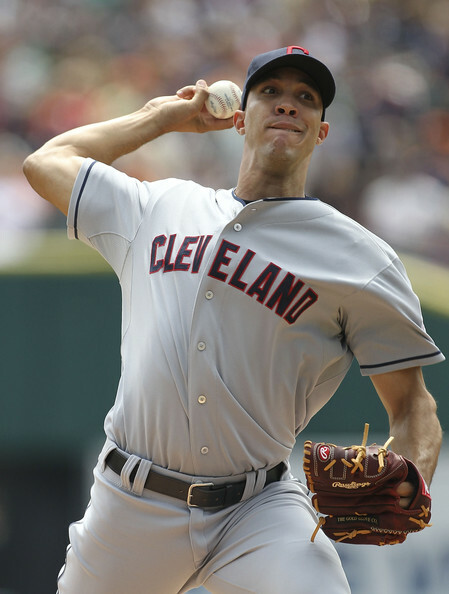 If Ubaldo and Masterson pitch up to their potential, Cleveland will have a 1-2 punch to compete in the American League. 2012 will be a chance for a fresh start for the boys on the South Side of Chicago. A very green Robin Ventura will be replacing the temperamental Ozzie Guillen as manager. Departing with Guillen to South Florida is rotation mainstay and fan favorite Mark Buehrle. the 2012 Sox will be relying on plenty of players to bounce back from disappointing or injury-plagued seasons as well. The offense was a meager 19th in baseball and the starting pitching was only slightly better, ranking 17th. The offense’s biggest problem in 2011 was an inability to get on base and a complete lack of baserunning prowess. Only Paul Konerko got on base at a rate above average and the lineup was riddled with black holes in 2011. Adam Dunn was probably the worst player ever to get 496 at-bats in baseball history a year ago. He hit .159/.292/.277 and failed to crack 35 homers for the 1st time since 2004, hitting a measly 11. If Dunn can’t get straightened out this season he could find himself released with $44 million remaining on his contract. Alex Rios and Gordon Beckham all had down years for the White Sox as well. Rios was the worst of the 2, hitting for a 65 OPS+, ranking just above Adam Dunn as the worst hitter in baseball. Rios is on the wrong side of 30 now, and has seen his power and speed numbers decline steadily. This is not a good sign for the White Sox. Beckham is now going into his 4th major league season and has regressed each year since his first. He now has nearly 1500 career at-bats with a .249/.318/.386 slash, poor speed, and a big of a strikeout problem. If he doesn’t improve the White Sox would be wise to try someone else. Even roster mainstays Paul Konerko and AJ Pierzynski will probably see some decline in their production this season. Both players are on the wrong side of 35, although each defied age a season ago to put up solid numbers. 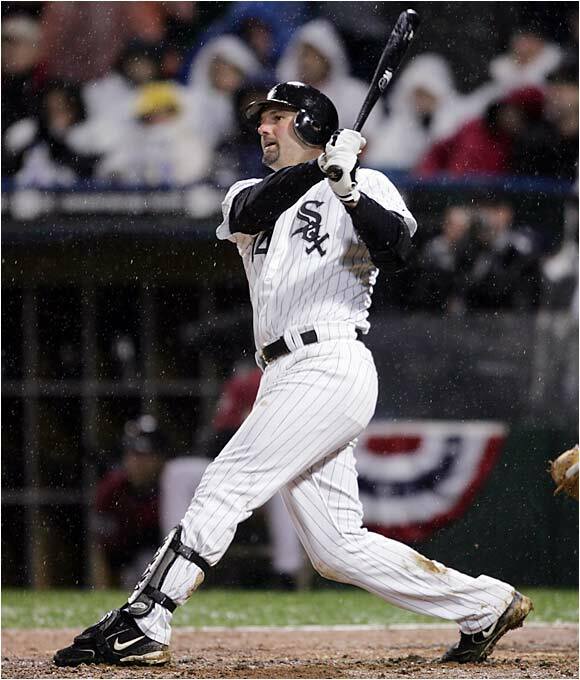 Konerko in particular had an impressive 2011, hitting .300/.388/.517 with 31 homers. The pitching rotation offers a little more hope for improvement for Chicago. The Sox just named John Danks the Opening Day starter, but Danks was only mediocre a year ago seeing his hits per 9 inn. jump to nearly 10. He’s a good candidate to improve however, seeing as he cut his walks and raised his strikeouts, which is always a good indicator of improvement. He is also 26 and entering his prime so look for a borderline All-Star season from Danks. Jake Peavy will also be tempting to resurrect his career after a truly gruesome arm injury in 2009. He has pitched just over 200 innings in the past 2 seasons, with middling results. His fastball is missing velocity, his curveball bite, and it has led to a career low K’s/9 rate. A healthy, strong Jake Peavy is a Cy Young candidate, but one wonders if injury has robbed Peavy and the White Sox of a truly great career. As recently as 2 weeks ago Peavy discussed the possibility of a future as a closer. This may give credence to the idea that is arm may not be able to handle 200 innings in a season, and bullpen duty may not be far away. The rest of the rotation is composed of Gavin Floyd, Chris Sale, and Phil Humber. Sale was a strikeout machine as a reliever in 2011 and is now being moved to the rotation. The bullpen looks somewhat shallow, and with closer Matt Thorton it will probably rank in the middle of the league. This White Sox team seems destined to struggle, with an unproven manager, an aging roster, and very little pitching depth. Expect the loses to pile up in 2012. The Kansas City Royals enter 2012 with higher expectations than at any point in the past 5 years. The offense was the 10th best in baseball last year and should be dynamic again this season. If the abysmal pitching staff can make a sizable improvement on last year’s 26th ranking, this team could be a dark horse for the 2nd Wild Card. For a more in depth look at the Royals’ offense click here. The offense is led by young standout Eric Hosmer. 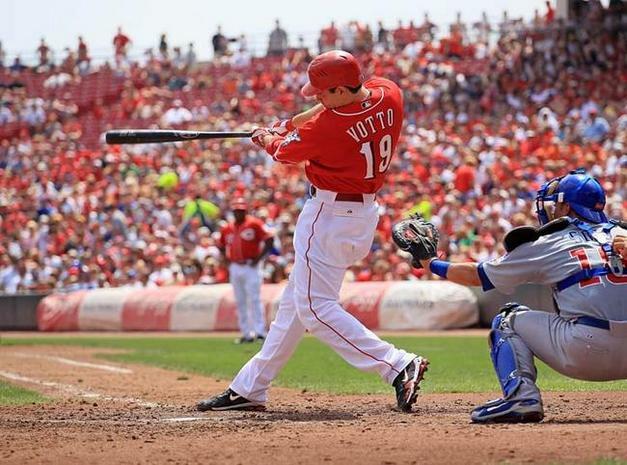 The 22 year-old, former 1st round pick, showed major promise with his bat in 2011, posting similar numbers to other slugging lefties like Joey Votto and Adrian Gonzalez. If Hosmer avoids the dreaded sophomore slump, he could easily hit around .300 with 25+ homeruns. Combined with a productive Alex Gordon, who hit .303/.376/.502 with 45 doubles in 2011, and Billy Butler, Kansas City has the makings of a frightening lineup. The Royals also have the makings of a solid defense, having above average glovesman across the outfield and at shortstop. This team will probably have one of the 10 best defenses in baseball. The corner outfielders, Jeff Francouer and Alex Gordon, led baseball in outfield assists a year ago and could do it again in 2012. This will be an interesting trend to keep an eye on, because many runner may not attempt to take the extra base as often. If Kansas City really wants to morph into a contender, it will take a massive improvement out of the rotation. Jonathan Sanchez was acquired for Melky Cabrera in the offseason, but he probably won’t be the answer the Royals are looking for. In the poor-hitting NL West, Sanchez routinely sported excellent K rates but struggled mightily with his command, posing 5.9 walks per 9. Faced with better AL offenses, Sanchez may struggle to post an ERA under 4.50. So if he isn’t the answer, than who is? Aaron Crow, a former 2009 1st round pick out of the University of Missouri, could be. Crow was an All-Star in 2011 out of the bullpen, posting a 2.76 ERA with 65 strikeouts in 62 innings. The Royals will be looking to get about 150 innings out of Crow, and if he can post a sub-4.00 ERA, he will be the de facto ace. His fastball averages 90-93, with the ability to hit the upper 90s and he has a slider and curveball as well. Crow was a fastball-slider pitcher out of the ‘pen and will have to mix it up more as a starter. The rest of the rotation will be Opening Day starter Luke Hochevar, Bruce Chen, and Danny Duffy. Duffy is a hard-throwing lefty, hitting the upper 90s on the radar with his fastball, but his secondary pitches, particularly his curve, need work. He posted a 5.64 ERA, so he’s raw, but he has a lot of potential. The Royals are probably a year or two away, but 2012 could be a big step forward for the franchise, while providing more seasoning for the youngsters. No team had a more disappointing 2011 season than the Twins did. They were abysmal at all aspects of baseball, finishing 25th in runs scored (2nd to last in the AL, where runs are more prevalent) and 29th in runs allowed. They were on par with Houston and Baltimore in the race for the worst team in the league. There is some cause for optimism in the Twin Cities however, and it comes in the forms of Joe Mauer and Justin Morneau. The Twins offense is difficult to predict going into the 2012 season, because of the injury histories of their two biggest contributors. If the M&M Boys are healthy Minnesota score 700-750 runs and be a contender. If both players struggle with injury again, Minnesota will have a bottom-5 offense and will struggle to top 70 wins. Mauer is one of the true threats in baseball to bat .400. 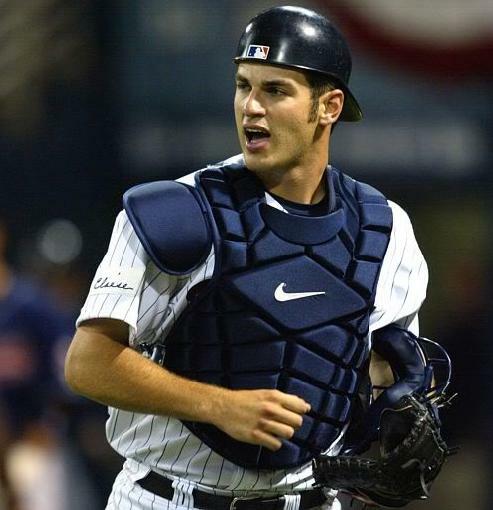 He is the only catcher in history to win the American League batting title, and he’s done it twice! I hope he can keep his legs healthy this season, because he is one of the 5 most entertaining at-bats in baseball, provided he’s healthy. The rest of the lineup includes 38 year-old Jamey Carroll, who was imported from the Dodgers to play shortstop. In Carroll’s long career as a utility player, he has played only 200 games at short, and this is where he rates lowest defensively. He is an adequate 3rd baseman and a good 2nd baseman, so the Twins should look to play him at either of those positions instead. Provided health is good, the Twins have plus defenders at 1st, center, and catcher, where Mauer is one of the best in baseball. Denard Span, the centerfielder, has oodles of range to track down any flies in Minnesota’s spacious 3 year-old confines. The Twins pitching staff has plenty of feast-or-famine players who could have All-Star campaigns just as easily as 5.00 ERA seasons. Carl Pavano is a league average pitcher (98 ERA+ over his career), and will probably finish with an ERA north of 4.00. Scott BAker and Nick Blackburn are soft tossers, who get by with guile, keeping hitters off balance. Each will probably give up more than the league average in hits. The potential standout on the pitching staff is Francisco Liriano, who’s performance tends to differ based on his control. He has one of the hardest-bitting sliders in baseball, so much so that Liriano struggles to keep it in the strike zone. In his best seasons his walk rate has fallen under 3, and when he struggles he tends to finish with a rate above 5, like he did in 2011. He strikes out plenty of hitters and he has no-hit potential, so keep an eye on his walks. If they are down he will be an ace, if not he will struggle and be run out of games early, due to a high pitch count. Ron Gardenhire, AL manager of the year in 2010, finds himself on the hot seat entering 2012. If the Twins struggle out of the gate, he could find himself looking for a job. This team has the talent to finish around .500, although it doesn’t have the depth to do much more than that. There is a massive gap between the talent of the Detroit Tigers and the talent of the rest of the division. I don’t believe much of the hype surrounding the Indians, and if Ubaldo Jimenez struggles, that team will be sunk. I think the Twins will bounce back nicely this season, seeing strong seasons from both Mauer and Morneau. If those 2 are productive 2nd place isn’t out of the question. Kansas City continues its steady improvement to 3rd and will truly look to compete in 2013 and beyond. The White Sox will be a tough team to watch this year, with little depth, and lots of high strikeout players.